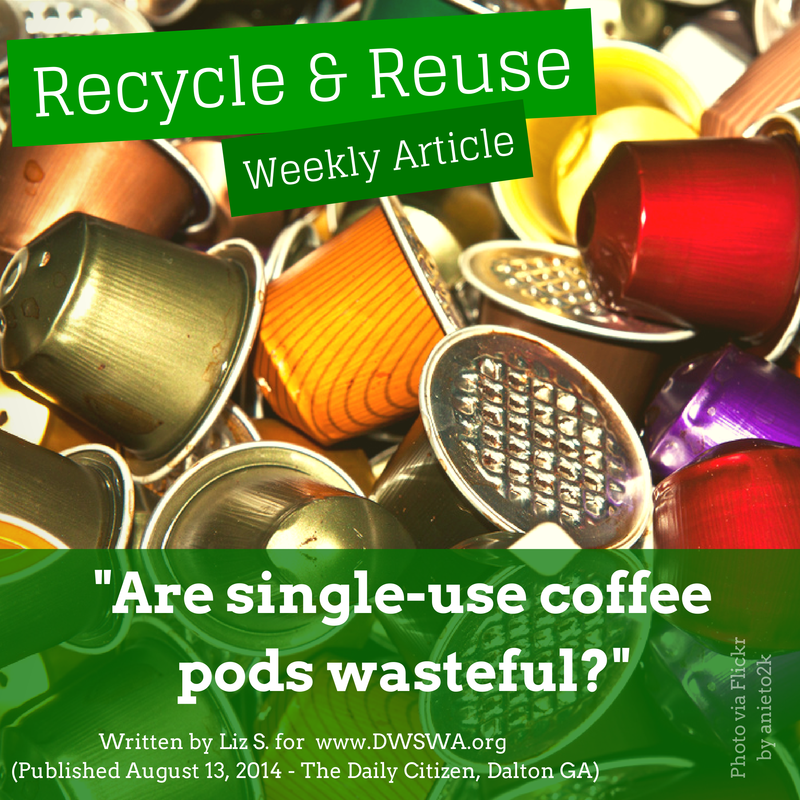 Are Single-Use Coffee Pods Wasteful? In today's edition of The Daily Citizen newspaper, you'll find the Recycle and Reuse column by Liz Swafford our recycling and education program coordinator. This week it's all about those tiny Keurig K-Cups and Nespresso Capsules which are very difficult to recycle. There is another option, however, a reusable coffee pod.